From the kitchen of One Perfect Bite...It took two attempts, but I finally got this lovely recipe right. While it didn't burn first time through, I was distracted and let the brittle get ahead of me. It turned a dark and unappealing color that looked burned and would prevent folks from trying it, despite its lovely taste. Rather than waste the batch, I put it into the blender and made a praline-type powder to use for flavoring and decorating other pastries.Then I took the phone off the hook and set to work again. The Silver Fox loves brittle, and when I saw the candy Dave and Sarah Eickelberg made using a treasured family recipe, I was determined to duplicate their results. They have a step by step tutorial that will make easy work of this, should you decide to give their recipe a try. The tutorial can be found here and I'm happy to report that second time through was a charm. This is a lovely brittle and candy lovers will be delighted with the results. You will, however, need a candy thermometer to make this properly. I used salted peanuts, so I ended up with a sweet and salty combination that is almost irresistible. 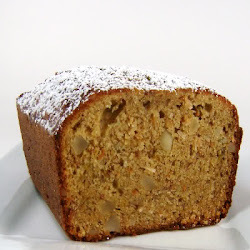 Those of you who love sweet things will love this recipe. Here's how the brittle is made. 1) Combine sugar, corn syrup and water in a 3 quart saucepan. Cook and stir on medium to medium-high heat until sugar dissolves. When syrup begins to boil, blend in butter. 2) Stir frequently after mixture reaches the syrup stage (230 degrees F). 3) Add nuts when temperature reaches soft-crack stage (280 degrees F). 4) Stir constantly until temperature reaches hard-crack stage (305 degrees F). 5) Remove pan from heat. Quickly stir in baking soda and vanilla, mixing thoroughly. Pour onto two cookie sheets, sprayed with cooking spray. Stretch mixture evenly across pan using the back of a metal spoon, sprayed with cooking spray. 6) After brittle cools (30-45 minutes), remove from pan and break into pieces. Loved this version of peanut brittle. 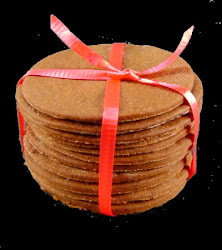 Another one made with jaggery is a fave and i just end up being addicted to it all winter. This looks gorgeous. I bet you will get loads of use out of the praline powder, too! I love the idea of the praline powder! I would probably have just thrown the browner brittle in an ice cream. I love homemade brittle but haven't made it in years. Yours looks very good. I have always my peanut brittle in the microwave, but your looks so perfect; a must try. I've only made peanut brittle once and that was in a high school science experiment! lol It didn't turn out so good! Your brittle looks perfect, Mary! My family love brittle... If I have free time, I shall give this a try! I never had a chance of making a brittle. Looks so simple to make. Thanks for sharing. Happy holidays, Mary. Stopping by to return the visit...going to be checking out some of your recipes for future meals! I love peanut brittle! It looks so good Mary! This looks perfect, Mary. The sweet salt combination is completely addicting, I would have to give most of this away! Peanut brittle has always been my dads favourite!!!! this is perfect for the holiday! thanks for sharing and what a pretty picture! The Amish in our area make a Cashew Brittle that is TO.DIE.FOR. it is so GOOD!! this sounds yummy!! I have never tried my hand at candy making, but I love brittle so much! We had a tradition of going sledding near my aunt's house sometime before Christmas. My mom and my aunt would make peanut brittle, divinity, and fudge while we kids were all outside. I still make their peanut brittle. The differences between your recipe and mine is that I always use Spanish peanuts which have a lovely red skin that gives a wonderful color to the brittle part. I also use only 2T of butter (recipe says 2t!). I make tons of it to give away at Christmas time, and people look forward to it. They say it does not get stuck in their teeth like most brittle does. Delicious, I can't resist peanut brittle! i just wanted to thank you for stopping by my blog and for your sweet comment. glad to have found you as well :) peanut brittle makes me think of my grandfather at Christmas... thank you. Looks fantastic! Remember back when the idea of salt was a strange thought when it came to sweets, and now we can't resist that salty sweet combo? Oh my, Mary, this sounds wonderful for gifting!! Merry Christmas!! This looks lovely. 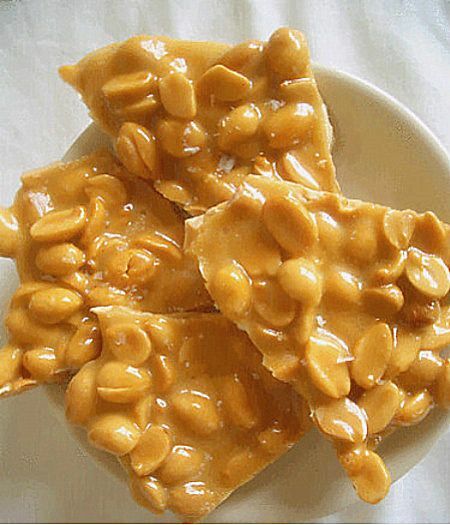 I like peanut brittle but have never thought to make it myself! I love peanut brittle. Want to make this and munch it while watching my favorite tv shows. Happy Monday Mary! I love sweet and salty combo!! It looks so good. Oooh! I'd love a big handful right now. It looks wonderful! Love your creative idea of throwing the tasty but dark brittle in the food processor and using it for other things. Smart. This looks delicious!! The theme for this week's Merry Monday is candy, and I'd love if you stopped on by and shared this brittle! Peanut brittle is one of those things that I probably SHOULDN'T learn how to make, for my waistline's sake...but I SO want to! I love peanut brittle! I used to make it a ton when I was younger!